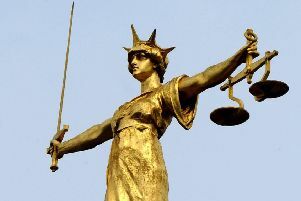 A property developer has pleaded guilty to providing false information to dodge paying a levy. Stephen Singh, 49, of High Street, Clapham, pleaded guilty at Luton Magistrates Court on March 13 to providing false information in an attempt to avoid paying a Community Infrastructure Levy of £32,600. In January 2016, Stephen Singh purchased 13a High Street, Clapham, an empty office block with a workshop and converted the property for residential use. The development incurred a community infrastructure levy on the basis of the council’s adopted charging schedule. When informed of the charge Singh completed a form to claim exemption from the charge on the grounds it was a self-build project intended for him and his family to live in. However, an investigation by the council’s Fraud Investigation Team revealed Singh had already rented the property to a tenant for £1,250 per month. Singh pleaded guilty to the charge and in mitigation his solicitors confirmed he had now paid the bill and claimed he had acted out of naivety. The council’s prosecutor provided evidence that Singh had experience of developing and managing a property portfolio across Bedford and had deliberately lied in an attempted to avoid paying the correct contribution towards local infrastructure. After hearing his guilty plea the court convicted Singh of the offence and ordered him to pay a £700 fine, £750 in costs and a victim surcharge of £70. Councillor Michael Headley, said: “The council will not tolerate attempts to deprive the local community of legitimate public funds needed to provide essential services.